[JURIST] Amnesty International (AI) [advocacy website] on Tuesday accused [press release] Myanmar security forces of committing crimes against humanity in their expelling of the Rohingya Muslim population. 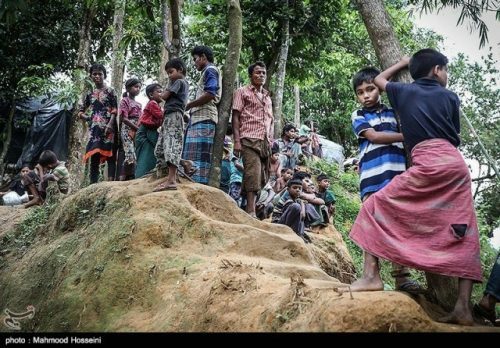 The report, entitled “My World Is Finished”: Rohingya Targeted in Crimes against Humanity in Myanmar [text, PDF], gives first-hand accounts of survivors fleeing the alleged genocide [JURIST report]. AI spoke with refugees, used satellite imagery and relied on local investigators to conclude that the Myanmar army, police officers and local civilians worked together to force the Rohingya from their homes. The attack on the Rohingya population has been both systematic and widespread, constituting serious human rights violations and crimes against humanity under international law. … The violations and crimes have been committed within a context of decades of systematic, state-led discrimination and persecution of the Rohingya population and occasional large-scale outbursts of violence. AI is calling on the international community to cease any arms trades or security training they have with Myanmar. Moreover, they are are asking the international community to use their influence and resources to stop the violence that has caused over a half a million Rohingya refugees.